Susan Bandes is widely known as a scholar in the areas of federal jurisdiction, criminal procedure and civil rights, and more recently, as a pioneer in the emerging study of the role of emotion in law. Her legal career began in 1976 at the Illinois Office of the State Appellate Defender. In 1980, she became staff counsel for the Illinois A.C.L.U., where she litigated a broad spectrum of civil rights cases, and helped draft and secure passage of the Illinois Freedom of Information Act. She joined the DePaul faculty in 1984, and was named Distinguished Research Professor in 2003 and Centennial Distinguished Professor in 2012. She has written more than 50 articles, and is among the most widely cited law professors in the field of criminal law and procedure. Her work appears in, among others, the Yale, Stanford, University of Chicago, Michigan and Southern California law reviews, as well as interdisciplinary journals like Law and Social Inquiry, the Annual Review of Law and Social Science, and the Law and Society Review. 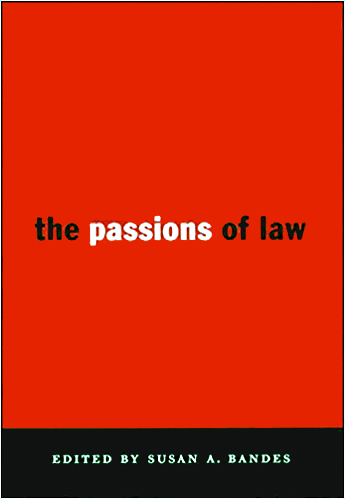 Her book, entitled The Passions of Law, was published by NYU Press in 2000 and released in paperback the following year. She has been a visiting professor at the University of Chicago Law School and Northwestern Law School, a visiting scholar at NYU Law School and the Berkeley Center for the Study of Law and Society, and Distinguished Visiting Scholar at the University of New South Wales. Bandes presents her work frequently at academic symposia and workshops, as well as to non-academic legal groups and community groups. She is a member of the American Law Institute, and has long been active in the Law and Society Association, where she is the founder (with Jill Hunter (University of New South Wales) and Jody Madeira (University of Indiana)), of the Collaborative Research Network on Law and Emotion. 42 Studies in Law, Politics and Society 21 (Austin Sarat ed. 2008). This article was chosen as one of 35 “core texts” for Criminal Law Conversations (Robinson, Ferzan and Garvey, Oxford University Press 2009). The core text is followed by the comments of eight criminal law scholars and her reply to those comments.